Posted on June 1, 2018, in Card Samples, Challenge Entries, Debbie's Challenge Entries, Oscar's (Deb's) Card Samples and tagged Altenew, Amplify. Bookmark the permalink. 10 Comments. You are getting so good. Love this layout. Wow! Wow! Wow! Your colouring technique is really awesome! Beautiful combo of colors!!! 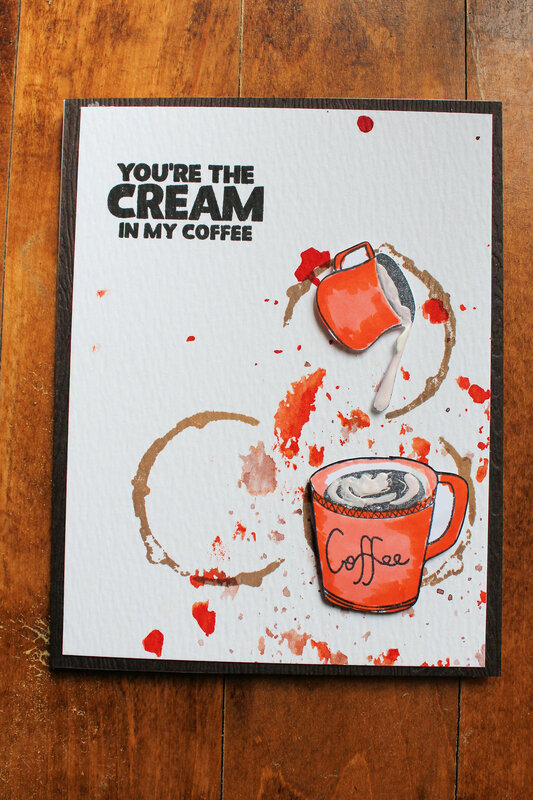 oooh love how you have the two different colors of splatters on the background of your card. Well, this is pure perfection! Thanks for all the wonderful projects and YAY you for your personal best, that’s awesome! Such pretty splashes of orange on this fun bright card! Cool card design and yummy looking coffee. Perfection! Love the bright orange with unique creativity here! Very cool! Love that creamer cup and that background!